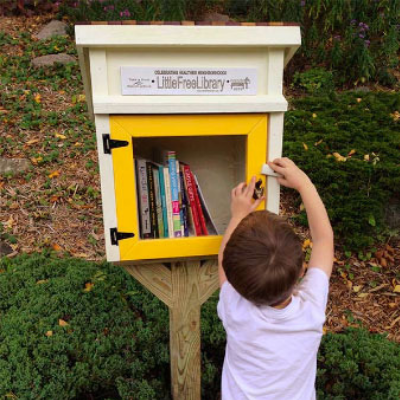 Lil Libraries is the hottest thing in libraries that is catching on like wildfire all across the country. It is a community based, engagement project with a goal of sparking greater interest in reading and bringing neighbors closer to neighbors. An image of a Little Library is attached, but feel free to read more about it. Even Wikipedia provides some interesting background! Cultural Division has commissioned Batia Lowenberg, project artist/developer to work with volunteers to create the Little Library in Sunview Park which services the Broadview Community. Volunteers will meet with Batia Lowenberg at Sunview Park, 1500 SW 42nd Avenue, on March 30th, from 2-6PM. During this time, participants will discuss community feedback regarding Broadview Park and work with the artist to design, paint and create what will ultimately become the Little Library. If you are interested in volunteering on March 30th, please email Shelly Turetzky sturetzky@broward.org by March 25th. Participation will be confirmed through email. Please include a subject line of Little Library. Thank you.